If your looking for cheap but android smartphones, well this one's for you. With a 4-inch HVGA (320x480) resolution display, you'll be carrying a 4inch phone for just Php2,999. 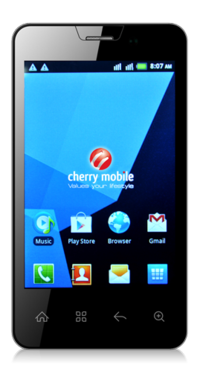 Besides Cherry Mobile Sonic is powered with Android 2.3.5 Gingerbread and 1Ghz single core processor, enough processing power to play casual games like Candy Crush, Angry Birds, Cut-the-Rope, etc. 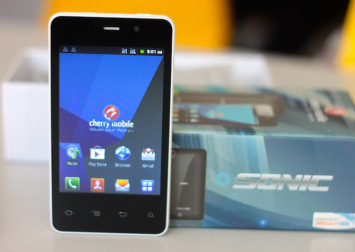 While playing videos and is not much of a problem, equipped with 2MP back camera with no LED flash, and a VGA 0.3MP front camera, not much to talk about Cherry Mobile Sonic, but at the price of Php2,999 its really worth it. Pros: Lets just focus on its price, for Php2,999 where in world can you get a 1Ghz processor for that amount, and not to mention its an Android operated device, and finally its 4inch display and WIFI capability. Cons: First of all no 3G connectivity, and we all know how 2G works, its like a sluggish slug in browsing, and please don't download using 2G, but WIFI saves the day, uhmmm..but not always, the camera is just 2MP and taking pictures will be sometimes blurry and might get dark in low lights.